Home Water What are the challenges? Wastewater is the water that leaves your house every day through the sewer pipes. Wastewater is created in many ways: when you wash your hands, do laundry, brush your teeth, take baths, and flush the toilet. Sewer pipes from homes and other buildings connect to even larger sewer pipes underneath our streets. In fact, Dallas Water Utilities (DWU) has over 4,020 miles of sewer pipes that carries wastewater to one of two Wastewater Treatment Plants, Central and Southside. When things like paper towels, wipes, and feminine hygiene products enter the sewer, they can tangle with each other and clog up the line. This can cause a sewer backup in your neighborhood, your church, your school or even your home. The two wastewater treatment plants operated by DWU can only clean the water coming in if the sewer pipes are free of clogs. 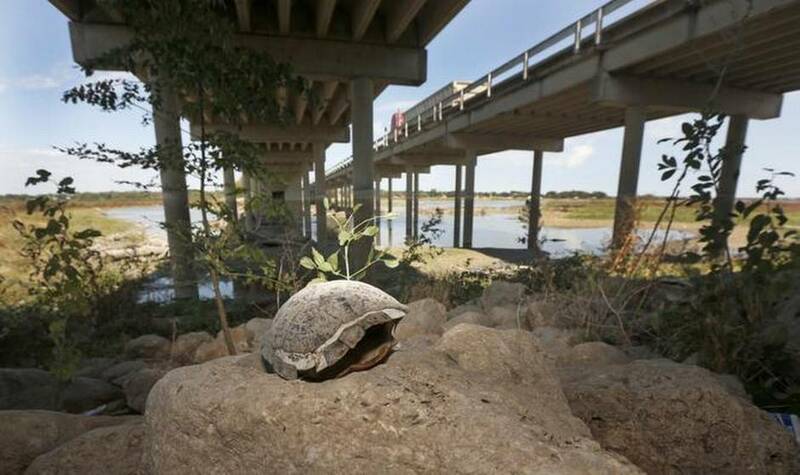 The treated wastewater, known as effluent, is released directly into the Trinity River, so it must be safe for aquatic life, birds, plants, and even humans. 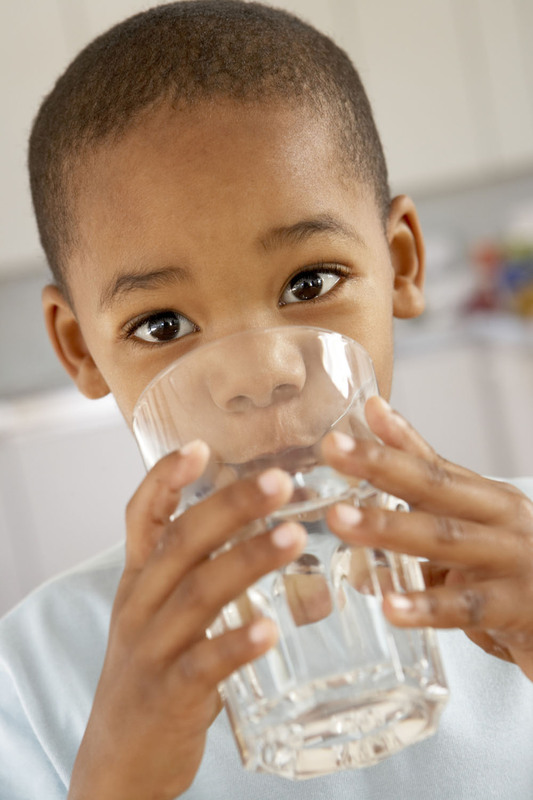 Drinking Water is also called “treated water” and it’s used to drink, bathe, and water lawns. Water purification is expensive, and pumping water through the pipes consumes a large amount of electrical energy. Since our drinking water is supplied by surface water, it is prone to pollution. The dirtier the water is, the more expensive it can be to clean, which is why it is so important reason to prevent water pollution. There are a lot of customers to supply, and the population is growing. There are also a lot of facilities and pipes to maintain. Keeping our water clean, conserving water, and keeping costs down are essential to maintaining a sustainable water supply for the future. Information about Dallas’ water quality can be found in the annual water quality reports. 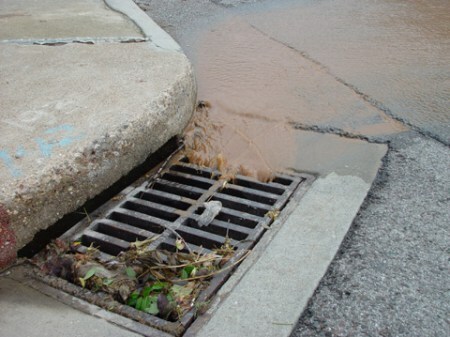 Stormwater is the water that runs down the streets, enters the storm drain system inlets, and eventually ends up in our creeks, rivers, and lakes. This can be rain water, or even the runoff water from washing your car or watering your lawn. Not only will it pick up the chemicals you use on your lawn, like pesticides and fertilizers, this moving water will pick up leaves, garbage, and anything else lying in the road and carry it straight to our waterways. 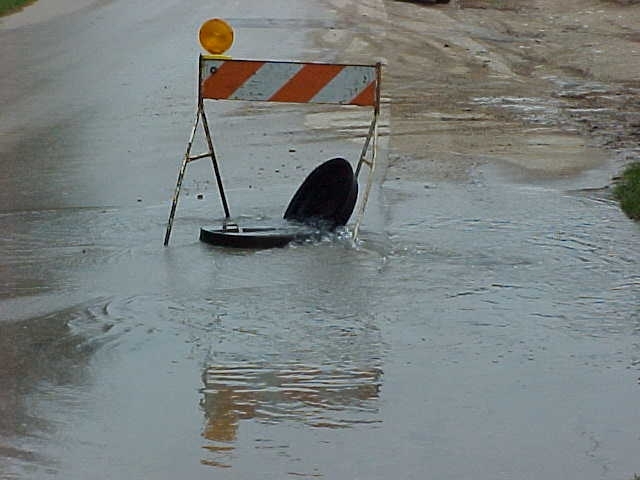 Unlike wastewater that washes down the drain from homes and businesses, stormwater is untreated, so it can carry pollutants, sediments, and trash directly into our natural water resources. Stormwater pollution may harm plants and animals, and prevent us from enjoying recreational water activities. Dallas Storm Water Management (SWM) is tasked with the job of caring for our storm water system. Since the 1950s, when a severe drought brought Dallas to the edge of catastrophe, the City has worked to protect its collective sources of water. We are starting to experience the effects of climate change, which is bringing more prolonged droughts. On top of that, increasing population pressures are combining with increasing agricultural and industrial needs, and creating more stress on our reservoirs. As reservoir levels drop, water quality is impacted, because there are the same amount of pollutants in less water, so the concentration increases. It may seem counter-intuitive, but aside from drought, climate change is also bringing more extreme seasonal flooding events, especially in the spring. 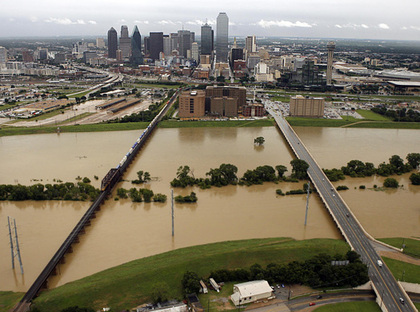 In 2015, spring rains brought widespread flooding to North Texas, including Dallas. Flood events that used to happen once a century are going to become more common. This places stress on the stormwater system, levee systems, roads, and other infrastructure, as well as emergency responders. It also threatens homes and businesses, and causes damage to park lands.